Kevin Cook, chief financial officer at Booz Allen Hamilton (NYSE: BAH), will join McLean, Virginia-based government technology and engineering services contractor Alion Science and Technology as CFO in a move that takes effect July 5. He is due to leave Booz Allen by July 1 and Alion Science said Monday he will bring more than 30 years of financial, management and operations experience to his new position. News of Cook’s appointment to Alion Science comes approximately one year after the McLean, Virginia-based company announced it would be acquired by private equity firm Veritas Capital. “Kevin’s knowledge of our industry and vast experience will be an invaluable asset as we continue to execute on our strategic growth objectives, ” said Bahman Atefi, Alion CEO. Cook has managed the financial operations and performance of Booz Allen since 2014 as CFO, executive vice president and treasurer after service in the prior six years as senior VP and corporate controller at the consulting services contractor. 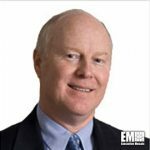 He joined the firm in 1986 and 10 years later moved to an enterprise software company now known as JAMIS Software, then returned to Booz Allen in 2003 to lead various aspects of its finance organization. Cook helped establish Booz Allen’s shared services infrastructure and led the company through its initial public offering in 2010. Earlier in his career, he worked at Westinghouse Defense and Alion’s predecessor company IIT Research Institute.